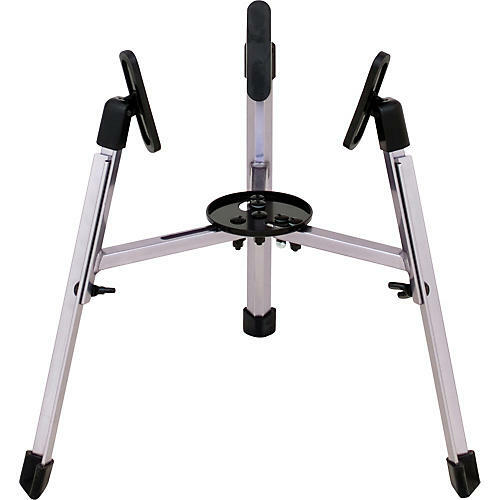 The Futurelite II Conga Stand weighs just 5-1/2 lbs, comes assembled, and adjusts to fit all standard size congas. It folds compactly by loosening two nuts, is height adjustable, and has spring-loaded grippers that hold the shell firmly. The stand's wide stance prevents stand "creeping", and it comes with an attractive gloss anodized finish.